In the shape of a tooth, a dental crown is a cover that our dentists put over a dental implant or existing tooth. Also called dental caps, these appliances “cap” your tooth all the way to the gum line. A crown is ideal if you have a cracked or otherwise seriously damaged tooth. It’s purpose is to hold together a broken tooth and protect the inside from further damage. In addition, it can restore the appearance of your teeth by covering the damage or discoloration. To make a tooth crown blend in with the rest of your smile, our dentists match it to the shape and color of your existing teeth. What Kind of Dentist Should I Visit? Choosing a dentist for your tooth crown fitting could be confusing since dental professionals work in different specialities. However, this is regular service that a family dentist provides, much like a teeth cleaning or a cavity filling. Call our dental office to make an appointment. Teeth crowns are either prefabricated or made to order in a laboratory. Our dentists may also refer to prefabricated crowns as ready-made or temporary crowns. Their composition is usually plastic or stainless steel, and they cover your tooth until a permanent one is made for you. To avoid the attention of a permanent gold crown tooth, we like to use ceramic and porcelain. The ceramic crown is made with a porcelain-based filling. It’s the best option for a front tooth crown since it can be matched the best with your existing front teeth. Ceramic is more brittle under a heavy bite, but stands up well to everyday wear. Porcelain crowns are stronger and more durable than ceramic because they have a metal base. They also have a better seal on your teeth, which prevents leakage and further decay. What Can I Expect During the Crown-Fitting Process? The crown-fitting process usually involves two visits to our dental office in The Village of Cross Keys. You might need more, however, if your teeth need extra preparation. This might be necessary if, for example, a cavity has damaged the pulp of your teeth, requiring root canals. The dental crown procedure starts with an assessment of your teeth to make sure that they can support crowns. Our dentists will file the affected teeth and make impressions that a lab will use to create the made-to-order crown. They’ll also give you prefabricated ones to wear while the lab gets the permanent ones ready. At your second appointment, they’ll secure each tooth cap and make sure that they fit comfortably. Crowns vary in price according to the materials used, so your dental crown cost will depend on what you choose. Dental insurance and discount programs often cover some of the bill. Contact us for more details. How Do I Take Care of Dental Crowns? 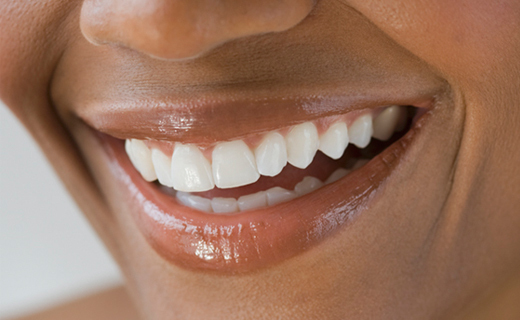 Most people have crowns for teeth for about seven years, but you can have yours for longer with proper dental care. This includes flossing daily, brushing twice a day and visiting the dentist regularly for cleanings and checkups. Contact our office today to schedule an appointment.